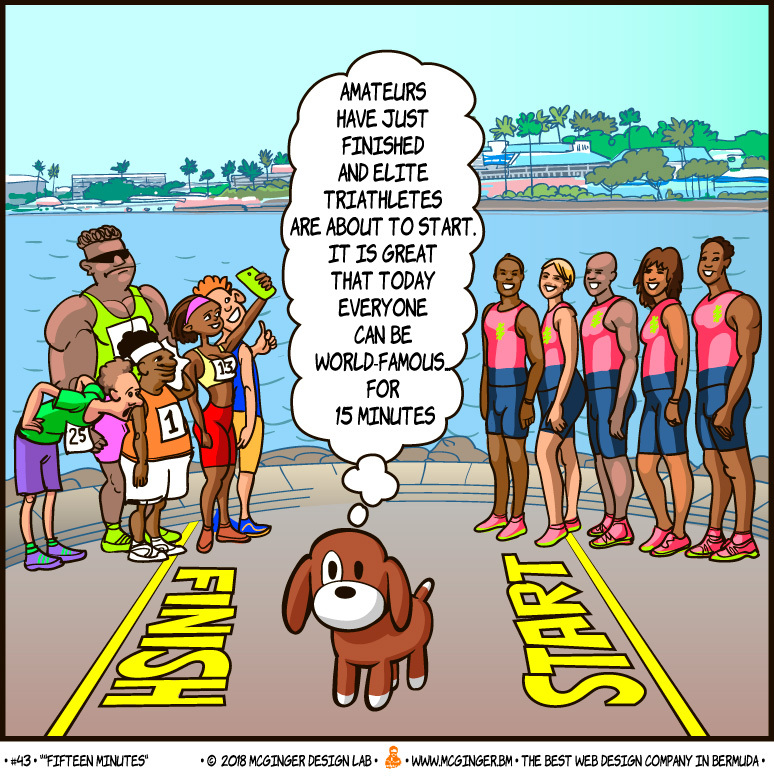 In the ninth of a new comic series from McGinger Design Lab, McGinger notes that the day of the World Bermuda Triathlon has arrived. Doggie brings the famous quote of Andy Warhol “In the future, everyone will be world-famous for 15 minutes” to comment on today’s event and reflect on the reasons that push amateurs and professional to train hard and perform in front of big crowds and TV cameras. Having a cynical nature he assumes that this is a way to show off. Enjoy the race.